The IECD develops in Cameroon its actions in all sectors: agriculture, entrepreneurship and medical. Since 1992, the Family Farm Schools (FFS) program has facilitated the professional integration of young farmers. Since 2014, two new projects designed to stimulate the rural economy have provided support to stakeholders in the market gardening (APONH project) and food sectors (TRANSFORM project): a new center located 1 hour from Doula opened its doors in 2016. The TRANSFORM centers in Ivory Coast and Cameroon are now partners of the public authorities in both countries, the CAM and the FIRCA. 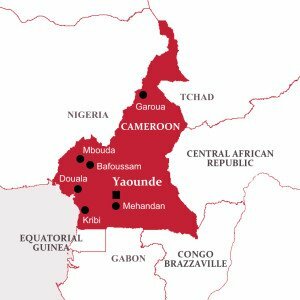 The SOFRULECAM, a company with a social vocation rolled out by the IECD in partnership with the Bonduelle group, offers income-generating openings for small farmers in western Cameroon. The move into new markets generates local economic benefits that improve the population’s living conditions. The Support to Small Enterprises program continued its development in 2016 with the deployment of the Start-Up Entrepreneurs training (SUT) with its partner CED and the extension of the partnership with the entry of the ICEP into the program, as well as the entrepreneurship information campaigns at high schools. In March 2018, the first promotion Top Vente by RED (Network Enterprise Development) took place for the women’s network of Gaschiga, 10km from Garoua. Thirteen women and one man took part in this training and graduated on April 26 in the presence of the Executive Director of CED and the authorities of Gaschiga. Finally, the improvement of care for people suffering from sickle-cell disease program was rolled-out on a massive scale in 2017 with more than 13,000 children screened and more than 19,000 people informed.